Our Southern Elephant Seal has returned. In October last year Duiker Island, Cape Town, was visited by a very lost large Southern Elephant Seal, and this year the same young male has returned. He has an injured left eye which can be seen in images taken on his last visit and in those taken recently; however this doesn’t seem to affect him too much. Elephant seals are rare in Cape Town, but the occasional animal does come ashore to rest or moult. There are roughly around 10 sightings a year of this species on our coastline. This individual likes to rest for the mornings and takes to the water in the afternoons, and we have managed to get pretty close to him underwater – although he is very shy! 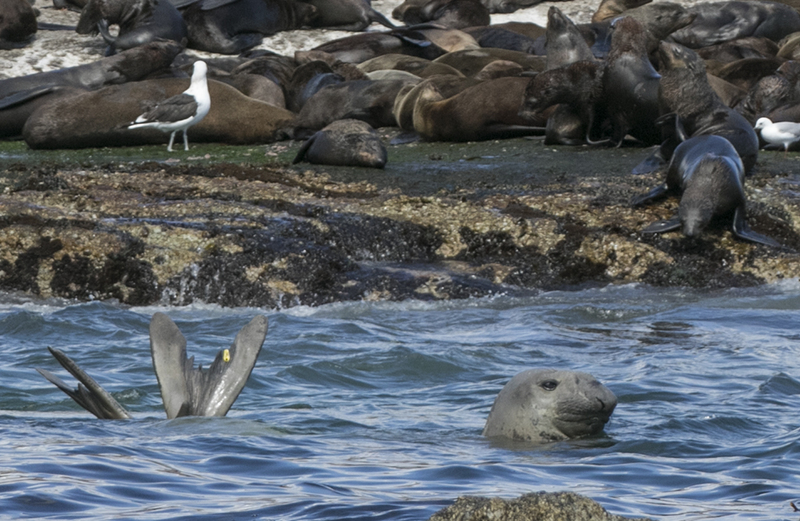 This seal has also taken a liking to eating the odd young Cape Fur seal, so although he may look cute, he is not. We are not sure how long he will stick around for, so come join us at Duiker Island and have a look while he’s still here. Interestingly he does have a tag on his hind flipper. We are hoping to get a photo of the number so we can find out where this seal came from and what is known about him. At full size they can weigh a maximum of 5000 kg’s and be 6.8m long! They are the largest species of Pinniped on the planet. 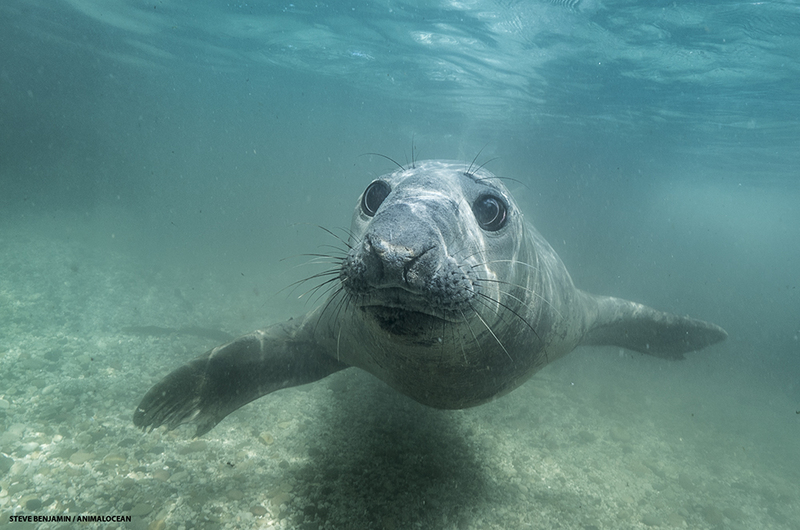 Southern Elephant seals can dive for more than 20 minutes to hunt squid and fish, at depths of 400 to 1,000 m. They are the deepest diving air-breathing non-cetaceans and have been recorded at a maximum of 2,133 m in depth. 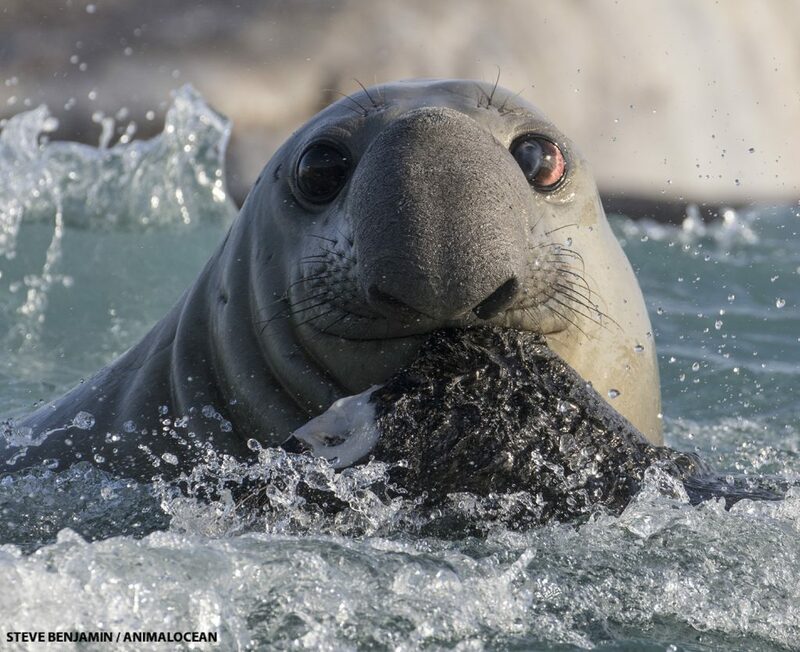 Elephant seals are among the seals that can stay on land for the longest periods of time, as they can stay dry for several consecutive weeks each year. Selso – Ushaka Marine worlds Elephant seal, tagged and returns.